A new survey released by well-known rating agency Standard & Poor (S&P) has found that just 24 per cent of the adult Indians are financially literate, which is worse than not just the “competing” BRICS economies but two of its important neighbours Pakistan and Sri Lanka. 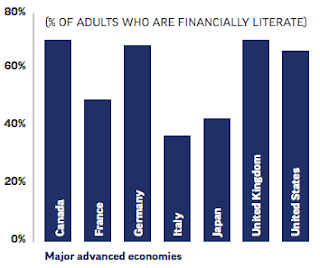 Pakistan’s 26 per cent and Sri Lanka’s 35 per cent adults are financially literate, it says. Bangladesh's financial literacy rate is 19 per cent. What makes the survey particularly significant that two the three authors of the report based on it, titled “Financial Literacy Around the World”, are with the World Bank – Leora Klapper and Peter van Oudheusden, both belonging to the World Bank Development Research Group. The third author, Annamaria Lusardi, is with the prestigious George Washington University School of Business. 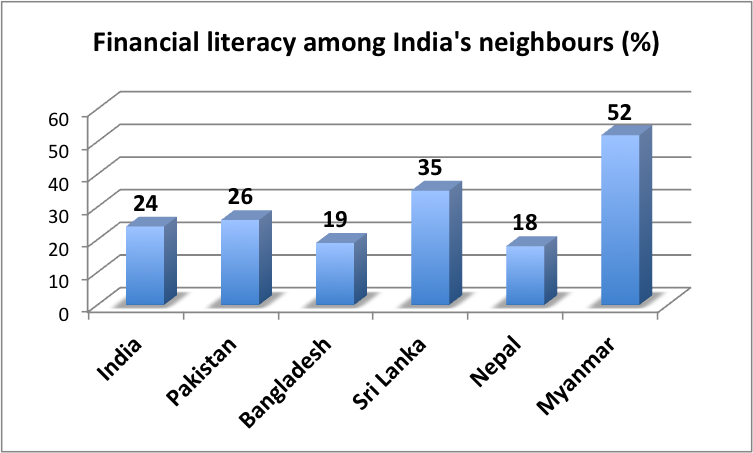 “There is also a gap in financial literacy when looking at relative income in the BRICS economies. Thirty-one per cent of the rich in these economies are financially literate, compared to only 23 percent of the poor”, the report states.